Are you interested in reading all kinds of global news resources? 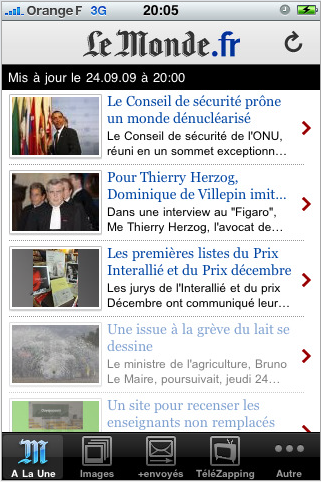 If so, you will want to download the Le Monde.fr app to your mobile device. It provides the complete current edition of the famous French newspaper, plus many other features. 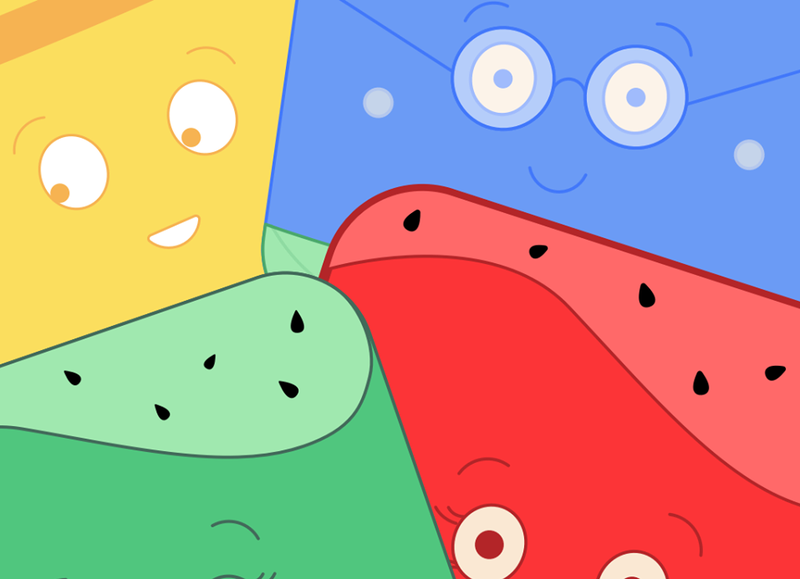 Users of this app app will have unlimited access to the front page headlines for the most recent edition of the paper. They can take a look at the latest photographs, share favorite stories on Twitter or Facebook, and receive push notifications about major or breaking stories. 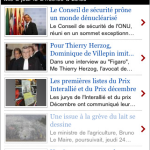 The Le Monde.fr app is a content-rich and mobile approach to getting daily news. It provides an app user with a simple page one-style screen from which to browse news of the world, or they can select from the menu tab along the bottom bar. Here they can also choose to see the most popular and current photographs and images, participate in Telezapping, or select from the major news categories. 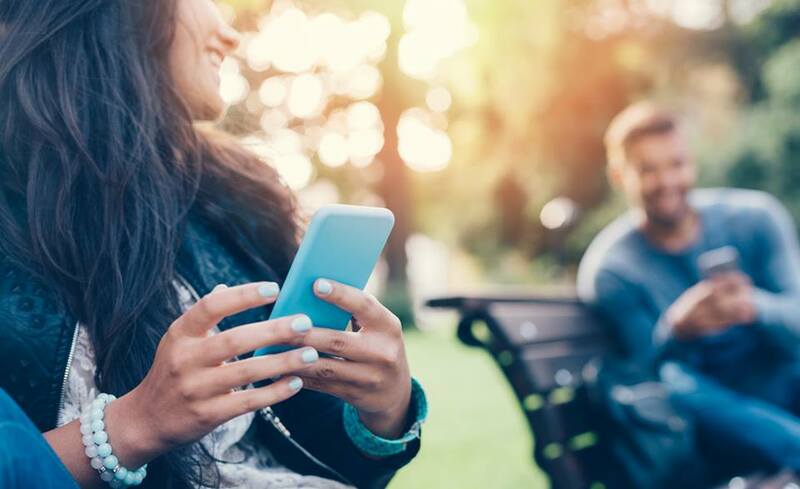 The in-app browser allows any story to be read in full and also emailed or shared to social networking sites through the in-app functions. There are many news apps, but this is the exclusive offering from the famed French publication. 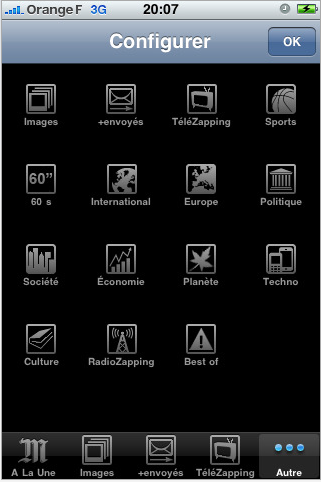 The Le Monde.fr app functions with Android, Blackberry, Nokia, Palm, Symbian, Windows Mobile, iPhone and iPod Touch devices. 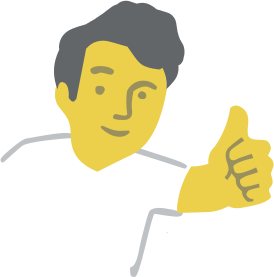 There is no cost for the app, and any upgrades are always made available entirely free of charge. If you enjoy reading worldwide news coverage, this is the app to download today.